In the early morning you can feel it already, the cold chill of autumn creeping in. Soon the leaves will fall and the barren branches will reach out to find our fears in the night. Already stores are stocking candy and many companies are releasing Halloween apps to help us find the fun in the dark. So here’s three apps that are coming to get you, to give you an “early jump” before the rest of the mobile monsters arrive. This year’s edition of the Guinness Book of World Records features phenomena so eye-popping that many of them leap right off the page. With this app loaded, you can point your camera at selected pages within the book and be greeted by 3D versions of the World’s Shortest Man, the World’s Smallest Dog, or a parrot who holds the record for the most slam dunks in a minute. The good news is, you don’t need the book to try it out. There’s a free preview page you can use online here. 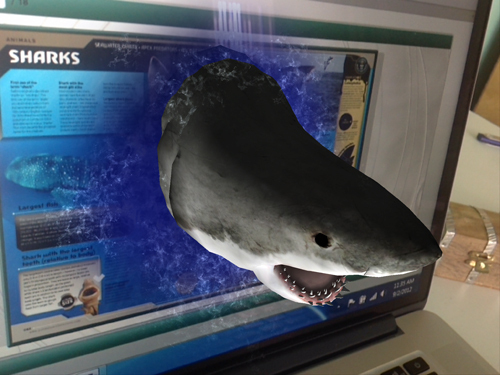 Just point your camera at your computer screen and get ready for a Great White Shark attack. Who can forget the scene in Alien when Kane (John Hurt) stiffens and then thrashes about the dinner table only to give birth through his ribcage to a small, screaming horror? Good news, this can now happen to you! Just download this special image, print it off, and then tape it to your chest. With this app loaded, your friends can now point their cameras in your direction and watch as a 3D Alien rips its way out of your body. If you play with the angle of your camera you can see the creature from different sides and even snap a photo of yourself with it as a memento. 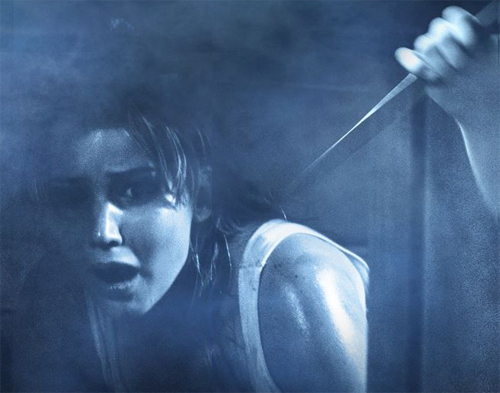 A tie-in to the upcoming horror movie The House At The End Of The Street, starring Jennifer Lawrence (Hunger Games), this is a game you play entirely by sound, preferably by sitting in the dark with a set of good headphones on. There’s nothing to see, but you can hear yourself being kidnapped and carried away to a dark place by sinister people. With stereo sound you can actually pick out the direction where things are coming from, a dripping pipe off in the distance or heavy breathing right behind you. By holding your iPad and physically turning about, you can face different directions in the virtual world and listen to explore the different paths. You can tap the screen to take careful steps in the direction you’re facing. If something grabs you, shake the iPad to fend them off, and then rapidly tap the screen to run away. If you hear something awful approaching, you can hold your iPad perfectly still to hide until it passes, and if none of these work and you find yourself being carried away with only seconds of survival left, you can scream so your iPad’s microphone hears you, and hopefully, someone will come to save you….